Jeren Tropicals has developed an array of themed foliage packages that will become the perfect accent for your next big event. You can also discuss your personal ideas with our creative director and together design your very own theme! Tall native palms, dry oaks, low lying grass plants and brush dot the landscape with a clusters of trees throughout. We add up-lighting and you have the feeling of being in the Everglades. Towering palm trees, tropical foliages, cut bamboo canes, faux stone boulders, bromeliads and moss finish the look, with topiary monkeys hanging from the trees. Tall oak trees surrounded with ferns, mosses and mulch. Native forest plants, a faux campfire, tent, canoe and oars. Bamboo canes are laced to create a canopy above the dance floor. Native vines and banana leaves, mixed with large palm fronds and hanging topiary moss monkeys. White birch trees, white oaks, snow covered with twinkling white lights and white seasonal blooming plants. Finished in soft white up-lighting, with seasonal characters (reindeer, polar bear, etc.) all in white. A working grove with "faux fruit trees" of varying sizes, park benches and bales of hay. Bushel baskets and a mini fruit stand. All trees come with your choice of fresh fruit. Fresh fruit table centerpieces can also be added to this package. Tall shade trees, split rail fence, hay bales, and an old fashioned "shade garden" of blooming plants surrounded by a picket fence. Completed by our "vegetable stand." Tent poles are wrapped with ficus cuttings; the ceiling of the tent can also be covered. This look can be tailored or loose and free-flowing. Add Tivoli lights or a shadowed effect with Par 38 up-lights in your choice of colors. Cut ficus branches throughout the ceiling of the dance floor with white Tivoli lights. On each of the corners the lighted "anchor" trees are placed with ferns at base. Two Koi ponds are separated by a foot bridge with a lush foliage package of ferns and tall studio palms. The ponds have working bubblers and give sound to the entry. Mahogany stained cube is filled with tall palms, tropical foliages, bromeliads and orchids. Up lit in your choice of colors. A flowing 3 tier fountain, blooming and foliage plants with lighted topiaries and ferns, brick pilasters topped with statuary, and a matching balustrade complete the garden. 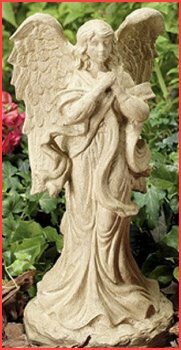 Dried oak trees, melaleuca trunks, lifeless trees, cobwebs, moss, spiders, black cats, overgrown grave sites and crumbling grave markers. Rock faced mountains, a forest of Christmas trees and Norfolk Island pines, snow banks of covered stands of lifeless birch trees, all glittering with multi-colored lights. Oaks, ficus hedges, Norfolk pines, split rail fences, topiary horses, hay bales, and wheelbarrows filled with country flowers and tumbleweeds. Custom bamboo structure with flowing fabrics, anchored on the four corners with banana trees, ferns at the bases and hanging moss monkeys. Oak tress and Norfolk Island pines are set in and around cascading rock faced mountains, mixed with native brush, moss and grasses. Includes topiary rabbits and turtles on the mountains. 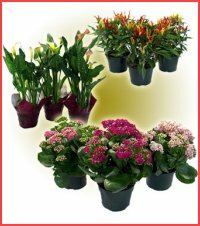 Jeren Tropicals offers designer groupings with selected plants in three to twelve foot heights and your choice of five, seven, ten or twelve plants in the grouping. All plant groupings include up-lighting. 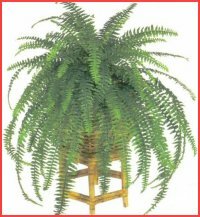 Jeren Tropicals offers the foliages trees and plants listed below in a variety of heights with a choice of white, white washed, natural wicker and faux terra cotta pots. Plant bases may be wrapped fabric or burlap; add up-lights in your choice of color for a dramatic effect. Additional foliage trees and plants are available - call with requests. 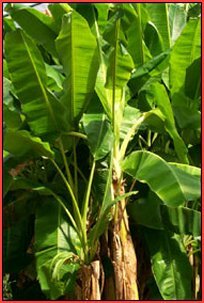 Jeren Tropicals offers the cut foliages listed below on a year around basis. Specialty foliages and palm branches are seasonally available - call with requests. Jeren Tropicals offers the items below to use in conjunction with your plant groupings or cut foliages. You can choose one or more items to match your event theme and give your decor that extra pizzazz!